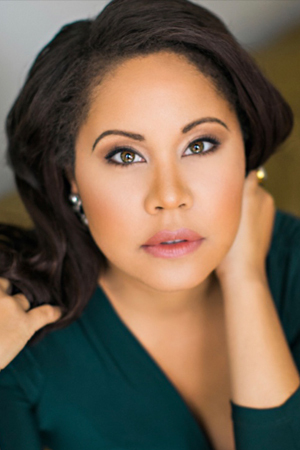 Brazilian-born soprano Ariana Wehr, originally from Batesville, Indiana is a graduate of the Domingo-Cafritz Young Artist Program with Washington National Opera. Despina in Cosi fan tutte for Opera in the Heights, Gretel in Hansel and Gretel in a return to Brava Opera Theater, a debut with the Naples Philharmonic singing Pulcinella by Stravinsky, and Micäela in Carmen in a return engagement with Opera Louisiane. In the 2017-2018 season, Ariana was seen as Amy March in Mark Adamo’s Little Women with Annapolis Opera, and Konstanze in Mozart’s The Abudction from the Seraglio with Brava! Opera Theater, and she advanced to the Semi-Finals of the Metropolitan Opera National Council Auditions. In the 2016-2017 season, the soprano was Barbarina in Mozart’s Le Nozze di Figaro for Washington National Opera, as well as Susanna in the Domingo-Cafritz performance of Le Nozze di Figaro. Additional performances for Washington National Opera included Ms. Holy in the world premiere of Mohammed Fairouz’s The Dictator’s Wife, and Zerlina in Mozart’s Don Giovanni directed by Francesca Zambello. In the 2015-2016 season, Ariana was Abigail Williams in Francesca Zambello’s production of The Crucible at The Glimmerglass Festival, Kahua in the world premiere of Better Gods at Washington National Opera, and Gretel in Washington National Opera’s Holiday Opera production of Hansel and Gretel. She appeared as Frasquita in Washington National Opera’s 60th Anniversary season opening production of Bizet’s Carmen. In 2015, Ms. Wehr made her debut with The National Symphony Orchestra singing Mozart’s Exsultate Jubliate, covered the Forest Bird in WNO’s production of Siegfried, as well as covering the role of Musetta in La bohème at the Glimmerglass Festival.